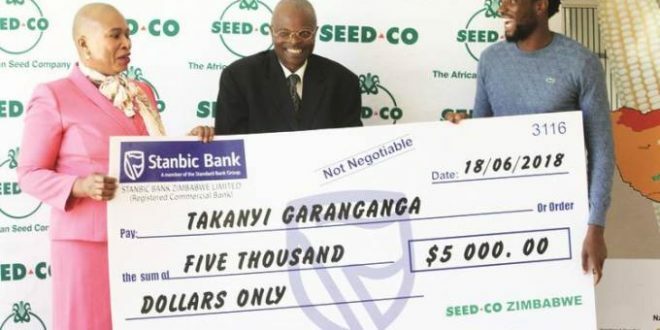 TOP Zimbabwean tennis player Takanyi Garanganga finally got some recognition for his efforts when he received $5 000 from Seed Co yesterday at their plant in Stapleford to assist in his upcoming international tournaments. Garanganga has been in the country for some time, playing in the just-ended International Tennis Federation Old Mutual Series, where he won the last of the three tournaments at Harare Sports Club on Saturday. And he is set to return to playing Challengers after a good three weeks playing in the Futures events at home, which he said was good preparation for him. 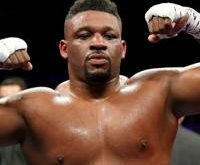 The Zimbabwe Davis Cup team player was set to fly back to his base in the United States late yesterday. Garanganga, who was accompanied by his father Brad for yesterday’s presentation, expressed his gratitude to Seed Co.
“What I would really like to say is Seed Co is the first company in Zimbabwe to actually put up some funding for my programme. So that’s very important and special for me. “It’s a very difficult sport to be doing it by yourself. Most countries have a lot of companies that are doing well and will help each player to get to where they are. “Tennis is a very individual sport and it makes it difficult for people to come on board. 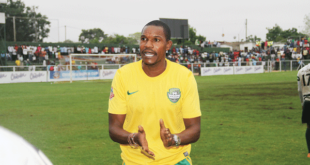 So I really thank you for stepping up to that plate,” said Takanyi. A former African Junior champion, Takanyi won gold for Zimbabwe at the 2011 All-Africa Games (now African Games). He is a key member of the Davis Cup team and at the peak of his career in 2014 he was ranked 288 in the world. The 27-year-old has had to rely on his family for support through his career, with his father, Brad, playing a pivotal role in funding his game. Seed Co head of public relations and communications, Marjorie Mutemererwa, said former Harare Mayor Muchadeyi Masunda had been instrumental in lobbying for support for Takanyi. “We have made great efforts to ensure that we facilitate education, sports and culture in Zimbabwe. ‘‘Our agenda is governed by the understating that this is instrumental towards economic development. “Takanyi Garanganga is a testament to the capacity and brilliance that can be found in Zimbabwean children. Given the opportunity and right exposure our children have the capability to soar to great heights,” said Mutemererwa. It was an emotional moment for the player’s father. “I am absolutely thrilled that Seed Co has seen it fit to come and support the efforts that we have put in place, initially as a family for Takanyi. ‘’And, of course, I think all of us are aware of what Takanyi has achieved from when he was a little boy and the talent was always there. “However, of course, the sport of tennis does require a lot of resources and it cannot just be a family affair really, it’s not possible . . . All over the world the nation comes to support through corporates and other initiatives. ‘‘I think, the beginning of a partnership that will see Takanyi accelerating on his ranking. Of course, in the process, he will raise the profile of the country higher and higher,” Brad said.